Suffer from oily, troubled skin? 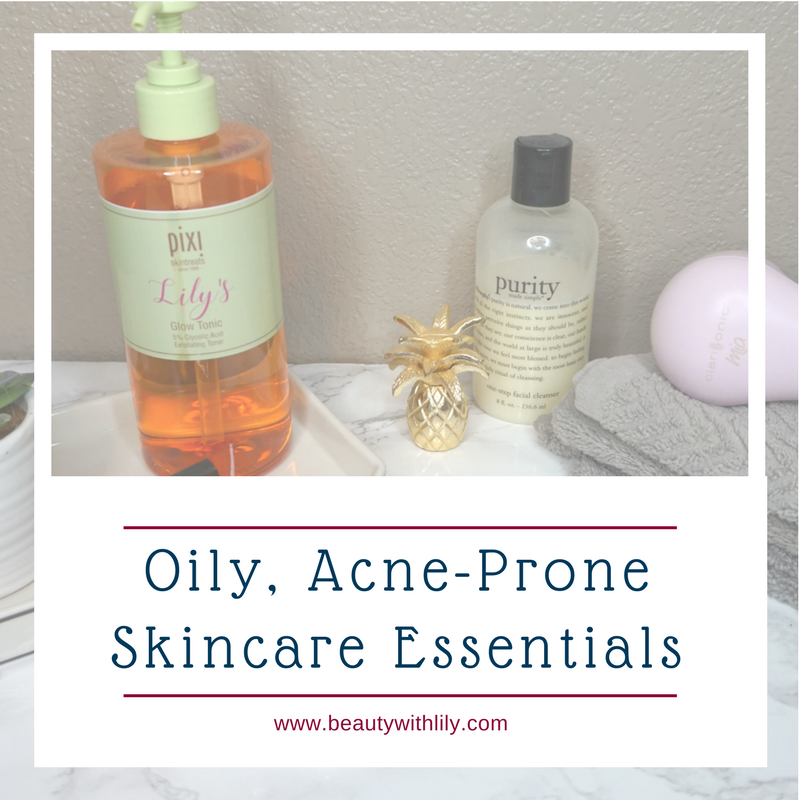 These oily, acne-prone skin essentials are perfect for it — all ranging from drugstore to high-end. I’ve mentioned several times that I keep my skincare pretty simple. I’ll be honest and say that I tend to slack sometimes, so the simpler, the better. 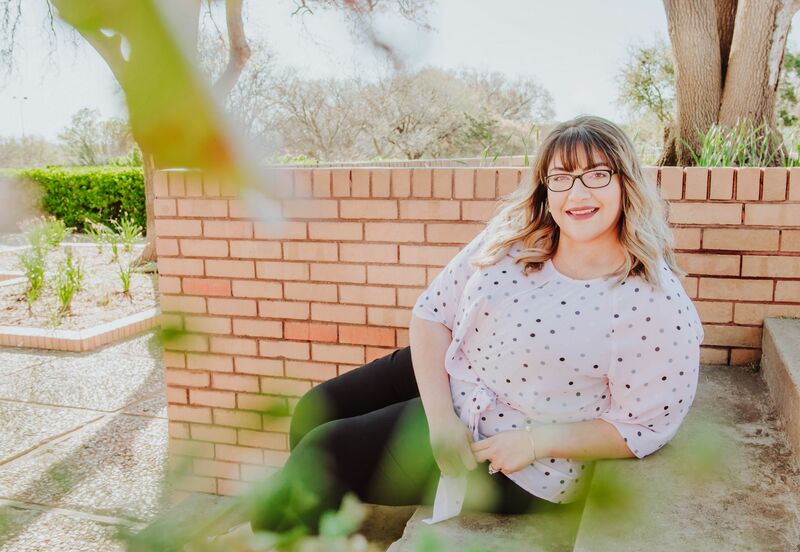 You’ll see that I don’t use any serums, or extra products — I try to keep it at the bare minimum, while still using products that are beneficial for my skin type and problems. I have several cleansers I use for different reasons. 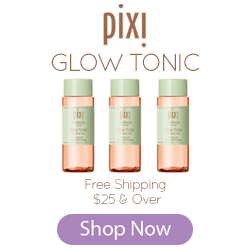 Each morning I wash my face with Murad’s Acne Clarifying Cleanser and I follow by using Pixi’s Glow Tonic. For moisturizers, I use the St. Ive’s Renewing Collagen Moisturizer and for my under eye area, my morning favorite is the Origins GinZing Eye Cream — it’s so refreshing and cooling, perfect way to wake up. My evening’s vary from day to day, but I try my best to keep my routine consistent. To remove my makeup I use my absolute favorite cleanser, Philophy’s Purity Made Simple Cleanser, it’s amazing and wonderful for all skin types. I also like to go in with my Mia Clarisonic Cleanser 2-3 times a week with Neutrogena’s Ultra Gentle Cleanser, at least once during those 2-3 times a week, I like to use the Clarisonic Pore & Blemish Cleaner, to help keep acne at bay. My favorite brush head to use is the Deep Pore Cleansing Brush Head, I have not had any pesky white heads since using this brush attachment. I then go in with the Nip+Fab Glycolic Fix Night Pads, these have glycolic acid and salicylic acid. I finish off by using the same moisturizer, I have yet to find something that I like for night time, and use the CeraVe Eye Repair Cream. For SPF and oil control, I love, love, love Murad’s Oil-Control Mattifier, I use this under my makeup — as a primer, essentially. For a once a week scrub, I love to use the Nip+Fab Glycolic Fix Scrub, it’s not too harsh and smells amazing! For something a bit stronger, I like to use Dr. Brandt’s Microdermabrasion Skin Exfoliant, I use this about once, maybe twice a month. 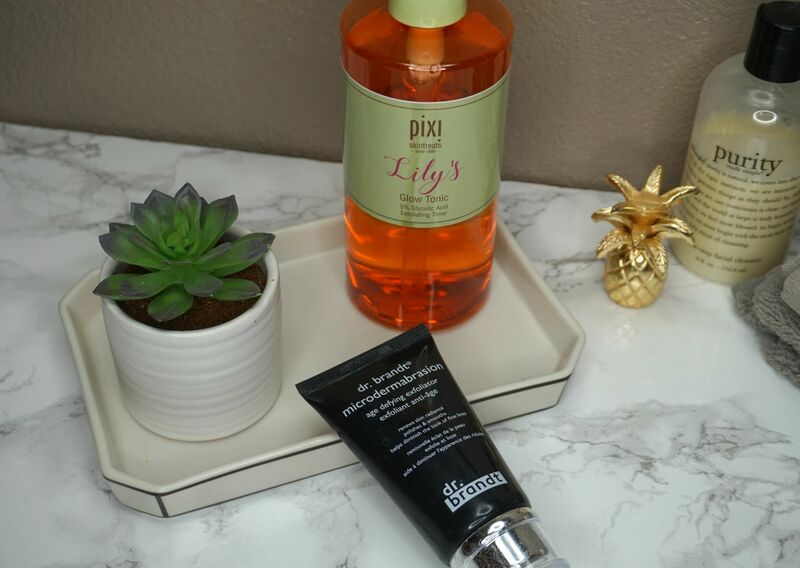 I have a few favorite masks that I reach for often, Biore’s Self-Heating One Minute Mask, Pixi’s 15 Minute Facial Glow Mud Mask, and Derma E’s Purifying 2-in-1 Charcoal Mask. And for those pesky blackheads, my go-to are Biore’s Deep Cleansing Charcoal Pore Strips. 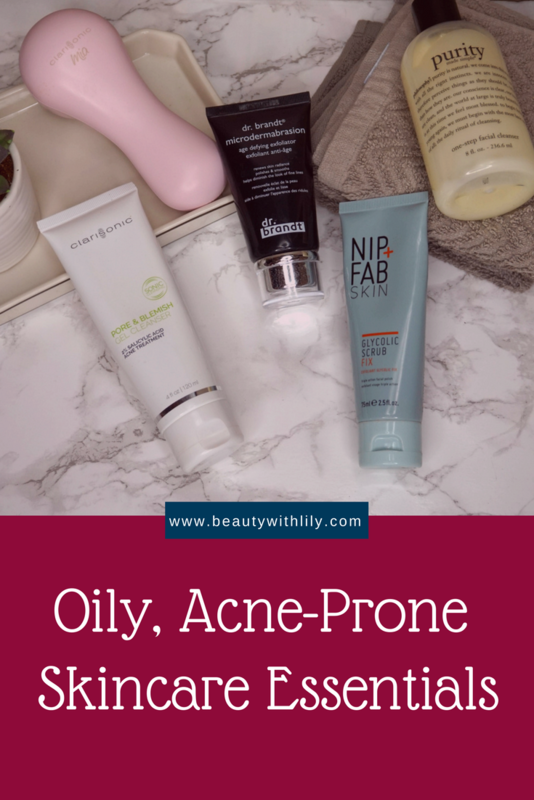 I do have several other hydrating masks and sheet masks that I use occasionally, but these products mentioned are all products that I have repurchased over and over. So, that’s what my skincare routine looks like…like I said, it’s pretty simple and straight to the point. As I get older, I definitely want to add more products into my routine….a serum, anti-aging products and better moisturizers for sure. So, if you have a similar skin type as me, please let me know what your favorites are down below. What type of skin do you have? 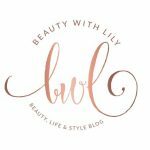 What are some of your favorite products? Found this post helpful, please feel free to pin the image below! 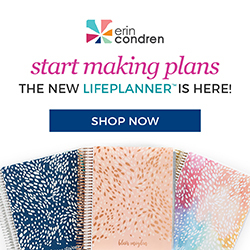 "Sephora Spring Sale Shopping Guide"
"Splurge vs Save | Spring Edition"